Rev. and Gospel artist Marvin Sapp was very vocal when he spoke about the reality show The Sisterhood, which revolves around pastor wives. 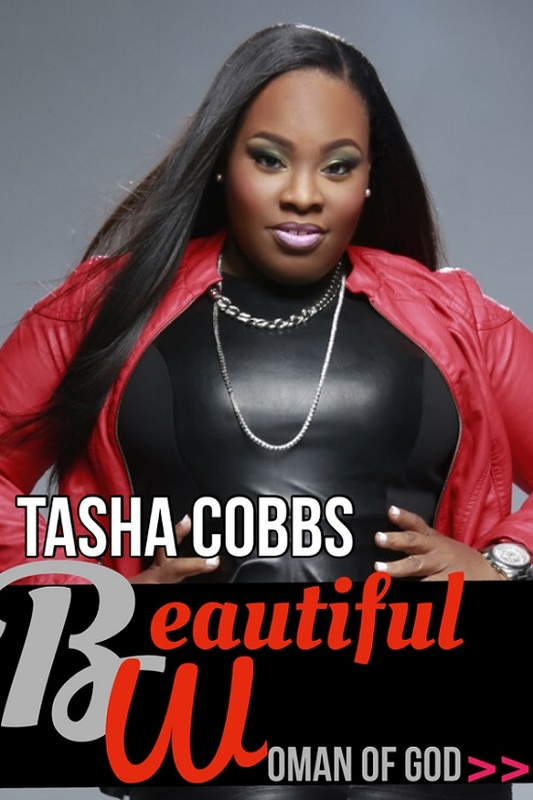 But are all pastor wives like these women on reality television? I mean it is reality television, so some of the things that were said and done may have been for the camera and for TV ratings. Martial problems, financial struggle, and the point of trying to fit in with everyone are just a few of the problems encountered on the show. 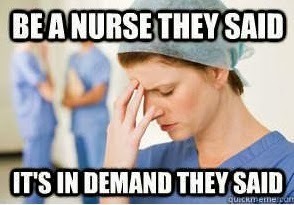 But we all deal with those things on a daily basis. 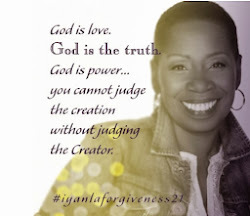 When we start to see it unravel on television especially from people of the church, I believe we start to pass judgment. You and I know for ourselves some of the things the wives do on the show are not tolerated in the church. GOTBOC Magazine Post: Rev. 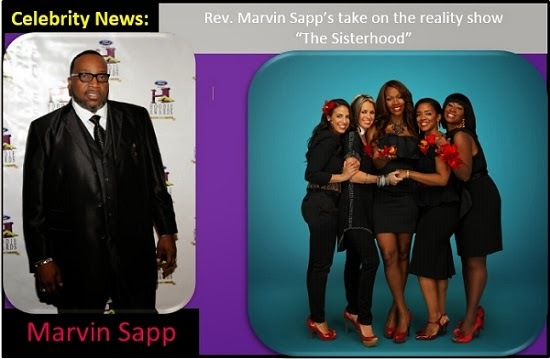 Marvin Sapp's take on the reality show The Sisterhood. One thing I am for sure, is being a pastor's wife is challenging and rewarding all at the same time. 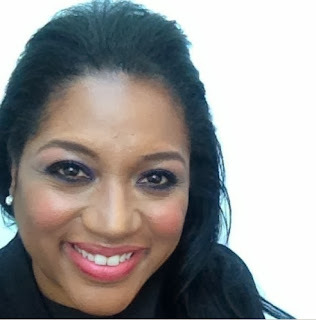 I recently wrote about Joel Osteen's wife Victoria and Charles Jenkins' wife Dr. Tara Rawls and the question came up about what is your greatest challenge in being the wife of a pastor, they both had some really great advice. Huffington Post: The Sisterhood, pastor's wives biker and argue about the use of the scripture. Several years ago when Joel and I assumed leadership of the ministry, our lives became fuller and more complicated. Oftentimes, we found ourselves moving in different directions, so we had to make an extra effort to connect with each other throughout the day. We recognized that if we didn't make the effort, we'll find ourselves breezing right by each other, with our minds preoccupied with the tasks at hand. So, to help keep the connection, we decided to acknowledge each other every time we pass. Sometimes, we high five, sometimes it's a quick "I love you," or a kiss on the lips. It's not important how we connect, but it is important that we do connect. We are both busy people during the day, but whenever when see each other, everything else is placed on hold for a moment while we connect. Keeping our connections strong, help keeps our hearts moving in the same direction. Leaving notes is a wonderful and easy way to keep connections. When Joel travels without me, I put little notes in his socks just to say "I love you." (I have also been known to put photos of us in his suitcase). You may want to leave sweet notes around the house, in a drawer, under the pillow, or on the TV remote just as little reminders to the people you love that they are valuable to you. It takes time and effort to maintain those connections in our relationships. Sometimes, when someone hurts or offends us we can be tempted to disconnect. But one of the most common mistakes people make in their relationship is to give the other person the silent treatment in an effort to pull back. 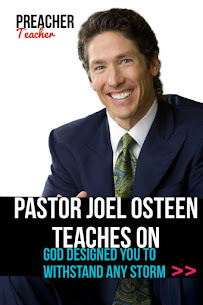 Read: Joel Osteen, preaches on how to have a successful marriage relationship. Someone once told me to not look at it as a balancing act. She told me that it is more of a juggling act. She says that when juggling, you have to hold on to what needs to be held at the moment; while some other items may have to float in the air for that time. Personally, I have found that deciding to be flexible when you want to be flustered is the only way to live at peace. Only God can give you the ability and capability to adjust at a moment's notice. The word ministry simply means to serve. 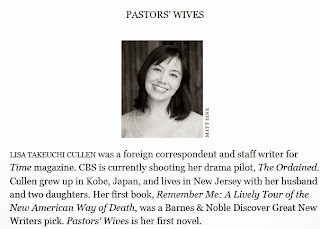 I feel that the title of a pastor's wife does not give you a pass regarding serving God's people. As pastors' wives we can not dress up and expect others to serve the Mrs. when we too, are called to serve the masses. Serving can be fleshed out in various ways. Too often we do what others expect us to do instead of doing what we are called to do. We must equip ourselves in the area of service in which we are gifted, with no respect to whether or not that role is deemed as first-lady-like. 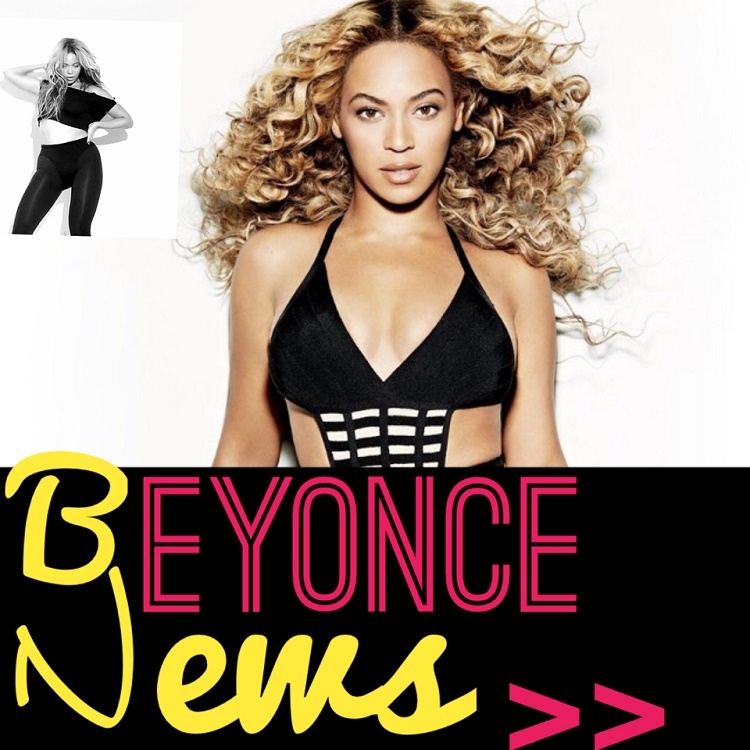 Read: Charles Jenkins, My God is Awesome, Fans obsessed with single. 80% of pastor's spouses feel their spouse is overworked. 50% of pastor's marriage will end in divorce. 80% of pastor's wives feel left out and unappreciated by the church members. Many pastor's wives don't know where to turn to for help and they struggle to live up to the image of being a pastor's wife. I have provided you with some encouragement testimonies from other pastor wives, ways how to support your husband in ministry, and how to maintain a good connection with your children. You know you're children didn't ask to be apart of the ministry, but there are ways to include them in your journey with God and your husband who is in ministry. LisaRaye will appear on Oxygen's Pastors of L.A. Dealing with church expectation, Goen encourages wives to be themselves. Early on in ministry, I had some great mentors who encouraged me to just be who I was and not try to conform to someone's expectations. Focus on what God expects, Goen says. Don't be afraid to show the real you to the congregation, complete with flaws. It shows that you're human and someone they can relate to. It's easy for wives to fall into the trap of feeling that they must meet and exceed certain expectations from church members. Amy Goen's husband, Kyle, has been in the ministry for 17 years. He serves as the executive pastor at the First Baptist Church in Smyrna, Tennessee. Franklin Graham witnessed incredible spousal support between his parents, Billy and Ruth Graham. My father would not be who he is today if it wasn't for my mother, he often tells people. It's important to keep a safe haven for your shepherding husband. He needs a place where he can rest and rejuvenate, even if he is always on call for the church. 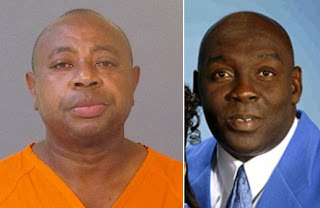 Beverly Hild's husband is the lead pastor of First Baptist Church in Sarasota, Florida. They have been married for 28 years and Hild has discovered the importance of being a supportive wife for her husband. I've learned that my husband does not need me to play the devil's advocate in difficult situations, he has enough of those. I try not to give him advice unless he asks for it. He needs me to listen to him and trust his judgment. Having the church body analyze your parenting skills can be more than a little taxing. Just remember that the church hired your husband to pastor them, they didn't hire him so they could critique your mothering abilities. Leighann McCoy is raising three children in front of her husband's congregation in Thompson's Station, Tennessee. My children were entrusted to me and I refuse to let the church think they are responsible for them. My primary job is to protect them from having to be ideal simply, because they had the fortune or misfortune of being born into our lives. Your children are yours, not the congregation's. It is your responsibility as their mother to raise them in a Godly environment, simple as that. Raising four children and working as the senior vice president at the Urban Alternative in Dallas, Texas, wore Lois Evans out. Getting time to talk to her pastoring husband, Tony was sometimes a challenge. She eventually found a free moment with him and told him she needed a break. I have to get away and get refreshed, she told him. She encourages wives to tell their husbands when they need some down time. We ministry spouses often get weary when times grow hectic. We hope our mates see how exhausted we are and suggest that we take a breather. Yet we often don't come right out and say, That's it. I've had enough and I'm taking a break. Let your husband know when you've hit a wall. 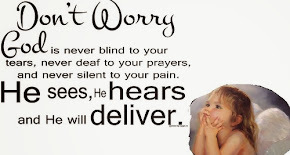 Don't expect him to read your mind. Everyone needs a break from time to time, including you. Being a pastor's wife can be draining on you, your family, and your marriage. Take proper care of the responsibilities that God entrusted you with as a pastor's spouse. Remember above all else, be yourself! Don't let stereotypes of what a pastor's wife is supposed to be hinder who you really are. Be genuine and your congregation will appreciate your honesty. It takes a special person to be in the role that you are in, but it can also be an enormous blessing. 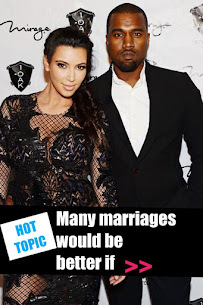 What’s it like when the man you married is already married to God? 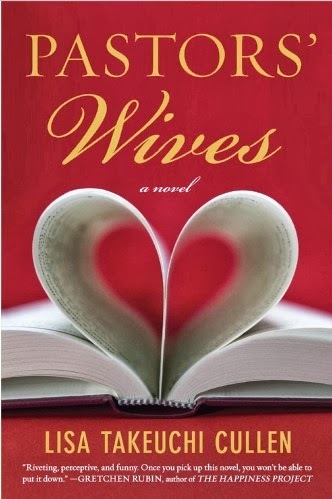 asks Pastors’ Wives, an often surprising yet always emotionally true first novel set in a world most of us know only from the outside. 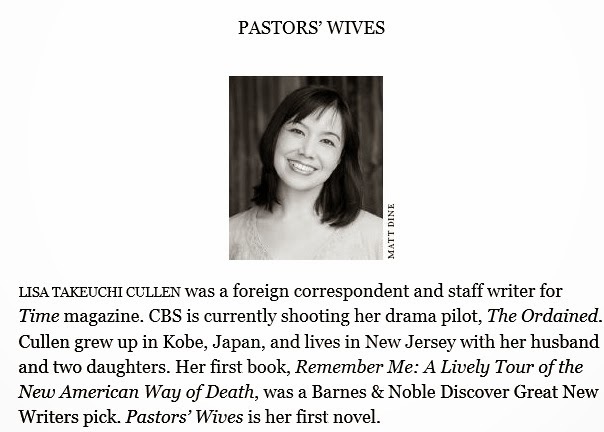 Lisa Takeuchi Cullen’s debut novel Pastors’ Wives follows three women whose lives converge and intertwine at a Southern evangelical mega church. Ruthie follows her Wall Street husband from New York to Magnolia, a fictional suburb of Atlanta, when he hears a calling to serve at a mega church called Greenleaf. Reeling from the death of her mother, Ruthie suffers a crisis of faith—in God, in her marriage, and in herself. 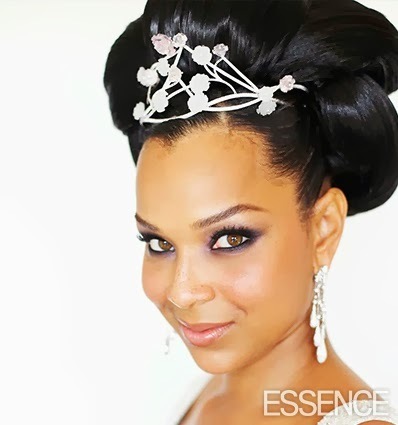 Candace is Greenleaf’s First Lady,” a force of nature who’ll stop at nothing to protect her church and her superstar husband. Ginger, married to Candace’s son, struggles to play dutiful wife and mother while burying her calamitous past. All their roads collide in one chaotic event that exposes their true selves. Words of Encouragement - Many times we as pastors wives are often neglected in the needs of the church. We are the ones who are hurting and can't show it and often the ones who the husbands can't see are hurting. We bear the brunt of the anger that is turned toward our husbands, because of something they have preached and we are expected to be perfect and just smile all the time. During the times that we do break down and cry our dear husbands (who are always very concerned with the needs of the church, but forget we are part of that church) will look at us and say what's wrong? And then when we tell them they just adopt a look of oh it's that time of the month and blame it on hormones. How many times have we been on the edge of tears and we are treated as though it is something we can handle? How many times have we wanted to yell at our husbands and say "wake up come out of dream world everything isn't wonderful you know?" I think we can all relate to that. Now for a moment I want to direct your attention to the times that Moses spent upon the mount. 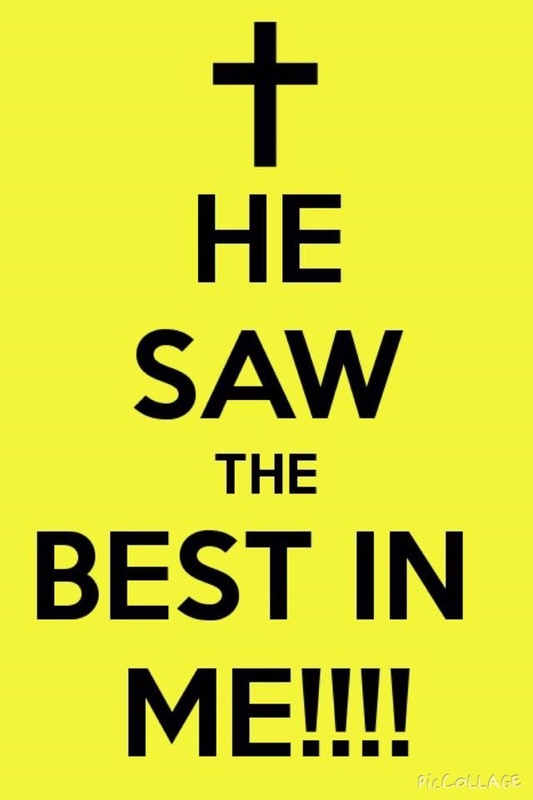 During that time he was unaware of what was happening below, because he was in God's presence. Below the children of Israel were going about their daily routines worrying about all the things people normally worry about. They were lost in their own little world of cares even though they had a God who would deliver them and take care of them. They forgot to look to their God to carry their burdens after a while and started looking to the world around them. They turned to Aaron and something spiritual they could not see. Aaron should have know better. But he gave into the pressures of this world. He gave into the complaining going on around him. Aaron was concerned with keeping the people content. Moses had left Aaron in charge down below while he went to commune with God. Often times, that is the case of what happens with pastors wives. Our husbands leave us to handle the run of the mill stuff while they are busy with Gods' work. They have to attend to the needs of their flock and they trust us as their wives to take care of the home front. They are so wrapped up in their own little world they don't see things start to go wrong. We become unhappy, because they are ignoring our needs and we lose our joy. And the word tells us that the joy of the Lord is our strength. If our strength is weakened, it can allow Satan to get in easier. A critical spirit can come in just like it did with the children of Israel. When Moses was gone longer than they thought he should be, they started criticizing. Before you it they had turned completely away from God. Of course we don't usually let it get this far before we realize it, but it can happen. So, the question becomes what do we do about it? To keep reading more of Becky's Words of Encouragement, I suggest you visit her website at Higher Faith. And even though you may not be a pastor's wife, this text can help strengthen your marriage. 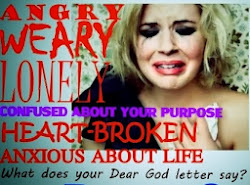 After you have consulted the Word of God - Ask your husband...What does he need from you? How can you better show him your love and respect? Your husband needs you to be a good wife to him more than he needs you to be a good pastor's wife to your congregation. 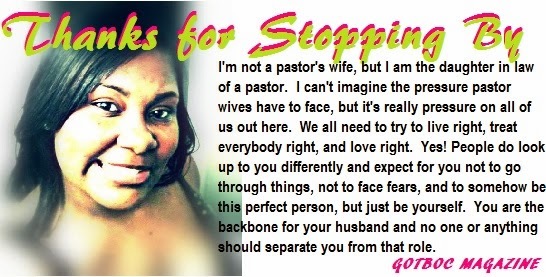 He needs you at home more than he needs you to be a good pastor's wife to your congregation. He needs you at home more than he needs you at church. Be careful not to spend all of your time and energy working in the church only to come home empty with no energy or time left for your husband. He needs to know that the ministry is not your main priority. Your service at home, to your family is so much more important than your service in the church, to your church family. Our main job, as pastors' wives, is to support our husbands as they minister, and that support will look different for every couple. What my husband needs from me may be different than what your husband needs from you. Personally, I try to keep up with what texts and topics he is preaching on and ask questions and initiate conversations about his sermon preparation and plans. I may not be able to contribute much to this process, but he knows I'm interested and available if there is anything he would like to talk through. I also support him with my presence. Every time he preaches, I'm sitting in the front, listening and taking notes. 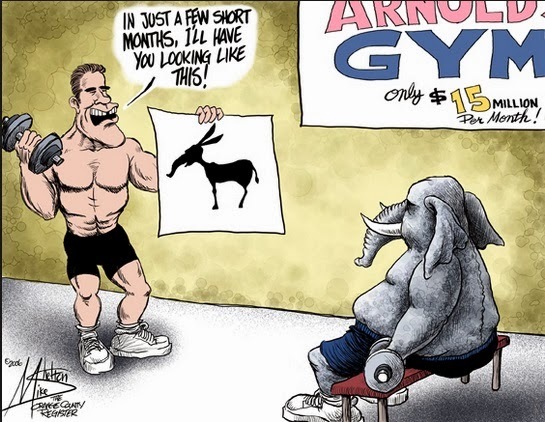 I laugh at the jokes that other people may not get. I nod and smile if he looks my way. No matter how the rest of the church is reacting or responding, he can know that his biggest fan is listening and supporting him. Lastly, I try to verbally encourage him and let him know that I think he is doing a great job. Corrie mentions that she has only been a pastor's wife for about a year and half and she doesn't have it all figured out, but she really is offering some very good advice. So, I hope with that being said, you will visit her at Mrs. Preacher to read more of her story. "So, you're the pastor's wife?" The question seemed rather pointed as I picked up my toddler from the church nursery that Sunday morning. I looked up quickly to see from whom the question was coming and as I did, I heard my girlfriend who was standing beside me give a little snicker under her breath. I'm just going to leave with that little bit, because the story is really good and I really would like for you to finish Amy's Testimony @ Just Between Us. She also talks about being unique as a pastor wife and a unique blessing for pastor wives. I grew up in a pastor's home and have been married to a pastor for 36 years. I have no ideal what normal life is like. Being a pastor's wife is one of the most challenging endeavors a woman can face. Where do you turn to find support and encouragement for the unique struggles you face? Encouragement for the pastor's wife is more than a study series. It is a journey through the tears, trials, struggles, heartaches, triumphs, and joys of being a wife of a pastor. I have had the honor of walking through the joys and sorrows of being a pastor's wife, and I want to encourage you, that you are not alone in the challenges you face everyday. 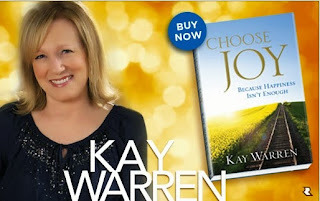 Be sure to visit Kay Warren's website. She has listed a video entitled What is the one thing you would tell pastor wives and she has lots of other resources and devotions. The love/hate relationship of being a pastor's wife - That is what a lot of us would call it. 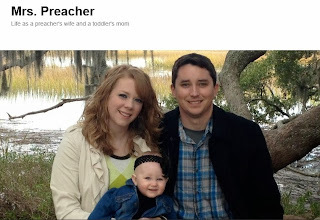 My user name means I have been a preacher's wife since 2002, when I married my love. I fought my feelings for him for a long time, because I didn't want to be a pastor's wife. I had been close to my associate and senior pastor's families and saw the heartache and sleepless nights. God had different plans, however. Our first pastorate was in 2005 and lasted seven months. My husband went to Bible College fore three years and I really enjoyed that time in our lives. The day after graduation, we moved an hour away from home to begin a new pastorate. If I had seen what was coming, I would have ran the other way. The very first Sunday, a lady came up to my husband and said you are going to have a rough time, because so and so church member is my ex son in law and we hate each other. She really lived up to that. That lady was cancer and I hoped God would have mercy on her. After two years of misery, my husband stepped down right before he was booted out. It was bad. So, we packed up our things and moved home. Visit Preacher Wife2002 to finish reading her story. Support your husband's vision, share it, and make it your own life's mission. Be your husband's main supporter and make sure he knows it. There may come a time when he may feel very alone and he will need you by his side. Respect your man. Say it with actions and remember that your number one job is to be his helpmate. Ask him often, what can I do to help you? Don't receive an accusation or instruction for your husband, but encourage the person to go directly to your husband, following biblical principles. It is not our job to instruct or defend our husband, but to pray for and love them. This gives The Lord the opportunity to teach or correct. To read more advice from pastor wives visit Great Commission Churches. Think about the things you have to be thankful for as a woman in ministry. Write out a list of those things, spend some time mediating on what God has done through you and your ministry this past year, and spend some moments thanking God for the unique calling and blessings He has given to you. Lori McDaniel says she has the Best Pastor's Wife Advice Ever! 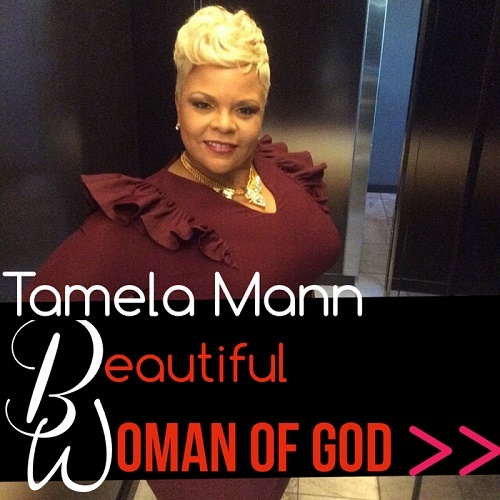 Romana says she is a pastor's wife, but she gave Bad Advice and then ask will God fix it? Ask a question at Free Christian Marriage Counseling Alternative to a Life Coach. Just Between Us Organization - Have you ever felt like your soul was in a spiritual famine even though you were serving soul food to others? All I can say is OMG! It amazes me about some of the stories that are being told by pastor wives. All the stories are different, but they all share the same message behind them. I always thought being a pastor's wife had it's perks, and never any downfalls. I thought if the people loved their pastor, surely they would love his better half, but as we can see from reading many of these stories from pastor wives, this is not the case. If you are fortunate to have a pastor's wife in your church I encourage you to encourage her. 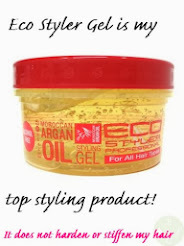 It's doesn't have to be momentary or presents. I believe the best love you can show her is by simply having a conversation with her and expressing to her how much you love her, because Jesus is love.